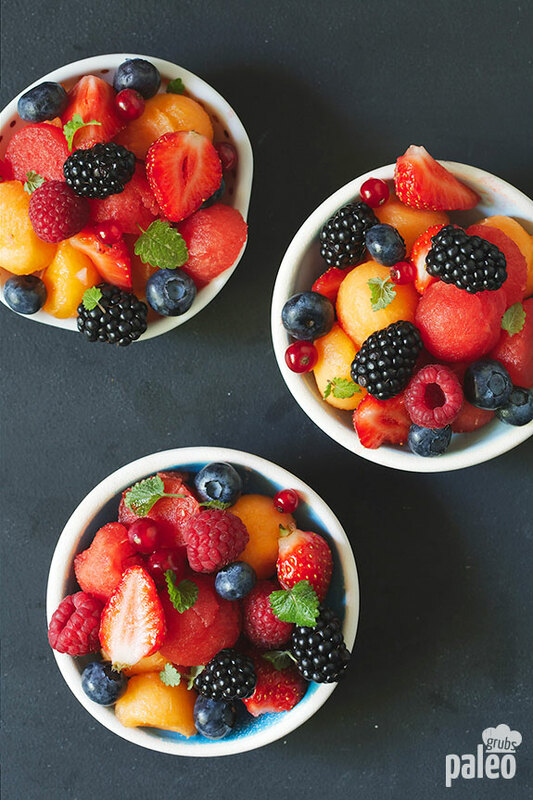 A fruit salad can just what you need when summer temperatures climb. 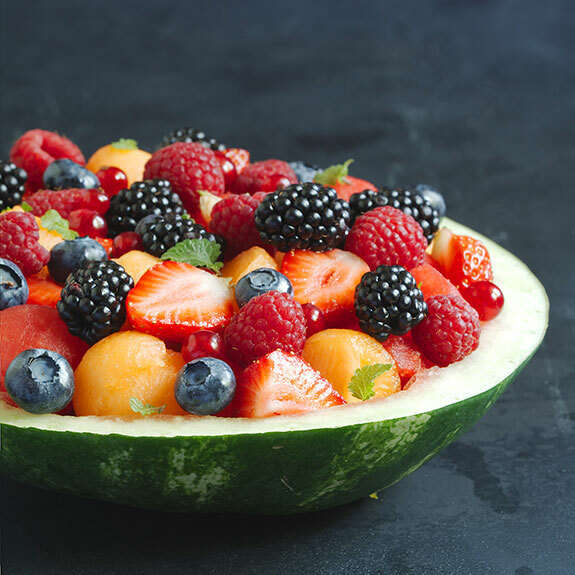 Refresh yourself with this blend of melon, berries, and oranges for a respite from the heat. 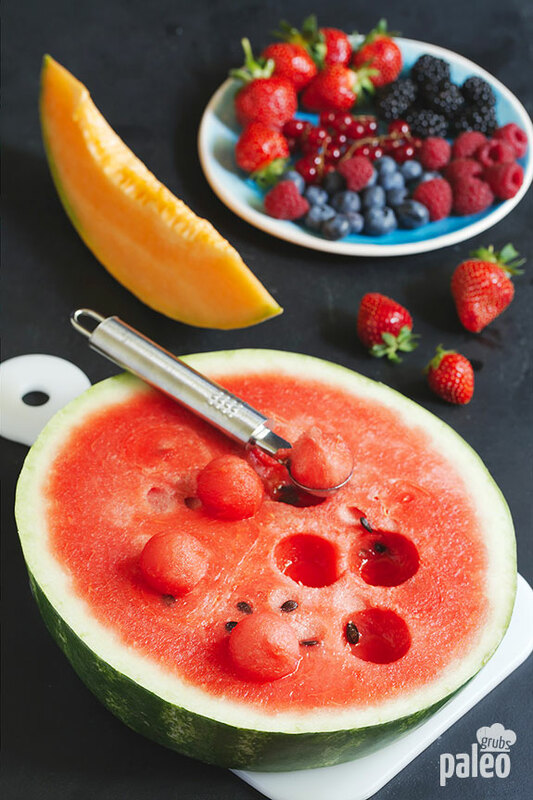 Half the fun of this fruit salad is using the melon baller. It’s one of my favorite kitchen gadgets and does such a great job at making perfect little melon balls. Watermelon may be the quintessential summertime food, but it doesn’t seem to get enough recognition for the nutrition it has. This mix of fresh berries is something to behold, with five different types of berries it puts to shame those pre-packaged bags of mixed berries. The only thing that you really need to do once all of the fruit has been prepped is mix it all together. 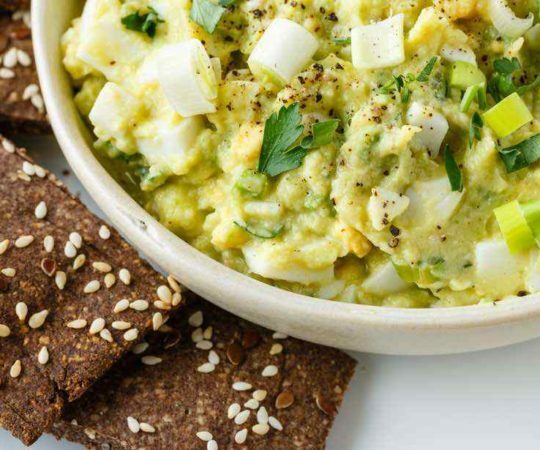 While it may seem like a simple step you’re actually making it more delicious by making sure that that you get equal representation of the fruit when you eat it. 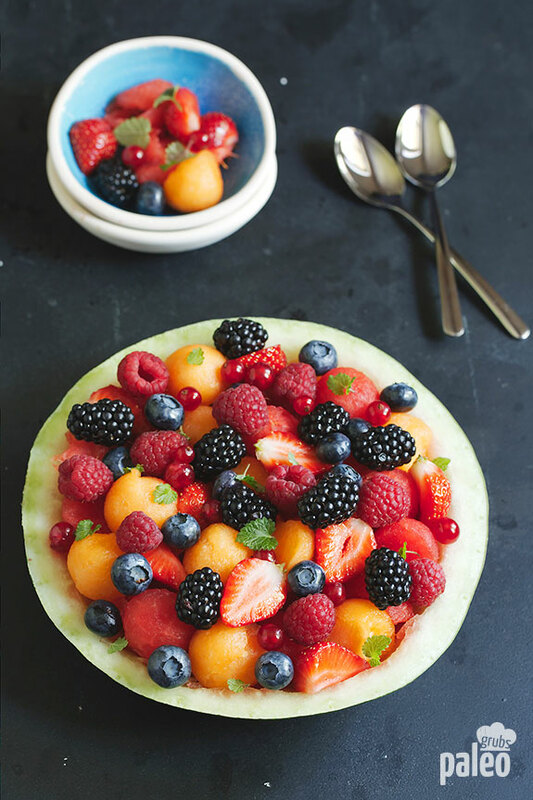 There’s just a ton of nutrition going on in this fruit salad, as each fruit brings with it its own unique makeup of antioxidants and vitamins. Berries are a well-documented source of antioxidants and they’re also a good source of fiber. 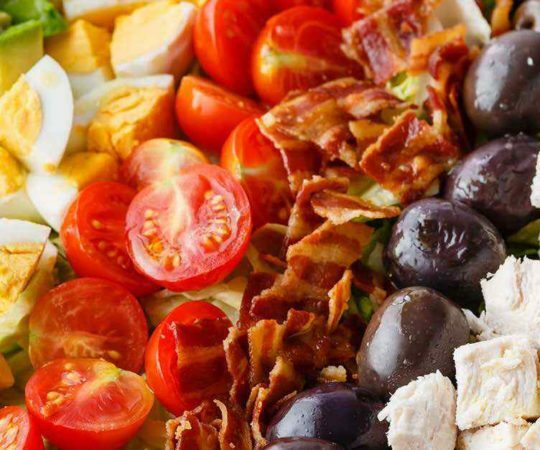 With Paleo you wouldn’t want to stuff yourself with a fruit salad, but it can be a nice pick-me-up during the afternoon, or could make a light meal in a pinch. One tip: If you make a larger batch and there’s leftovers you can make an instant smoothie by placing it all in the blender and blending until smooth. Add some raw honey for sweetness and to help bring out the juices in the fruit. Raw honey has enzymes that help with digestion so it’s not just adding its sweet flavor it’s also boosting the nutrients in the salad. Skip this step if you’re using really ripe fruit because they’ll already be juicy and sweet enough. Luckily I didn’t have to do much doctoring to make a classic fruit salad Paleo friendly. 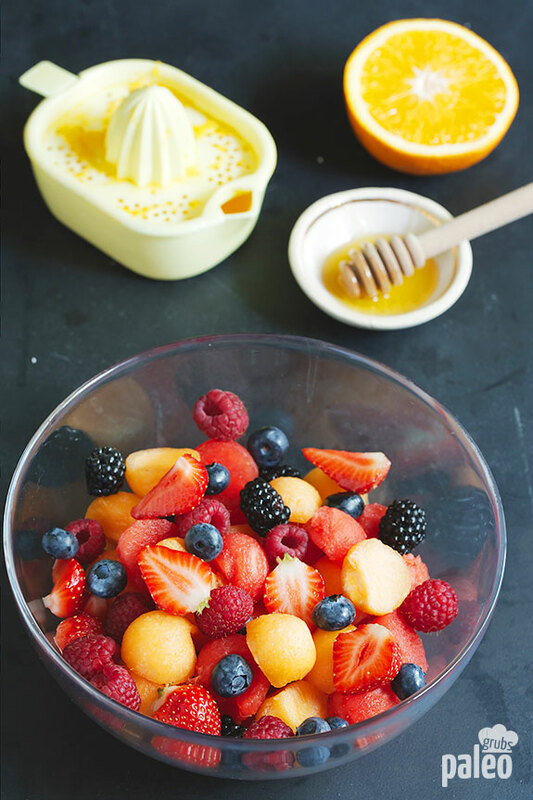 A lot of fruit salads out there will add in refined sugar, but swapping that out with honey makes it all good. 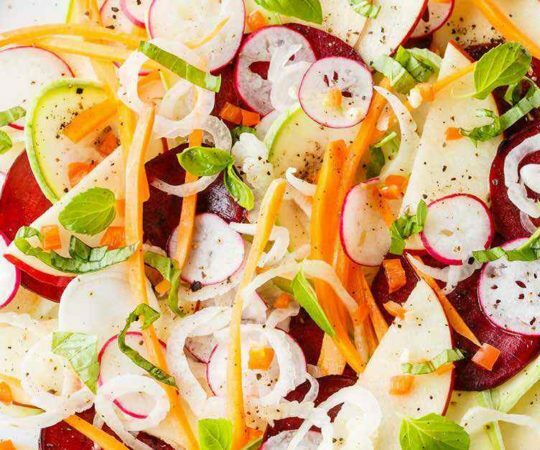 The result is that you get the classic flavor of fruit salads that you remember as a kid, while making it healthier so you can fully enjoy it. I like to use organic fruit when I make something like a fruit salad and the main ingredient is the fruit. It may be a few dollars extra but the peace of mind that comes with knowing that there aren’t chemicals in my salad is worth it. Finding them at your local farmer’s market would be nice too, since they’ll be at their freshest. 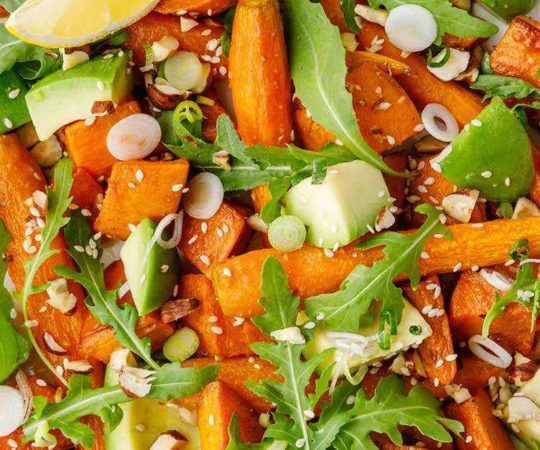 Whatever you use to make it, it’s sure to turn out tasty and it makes the perfect pass-along dish at picnics and potlucks while you soak in the joys of summer. To make a bowl cut the watermelon lengthwise about 1/3 from the top. You might have to slice a small portion off the bottom so it can sit flat. Using a melon baller cut the watermelon and cantaloupe flash into balls or alternatively, using a knife, cut it into small cubes. Hollow out the watermelon shell completely. In a small bowl, mix together the orange juice and honey. 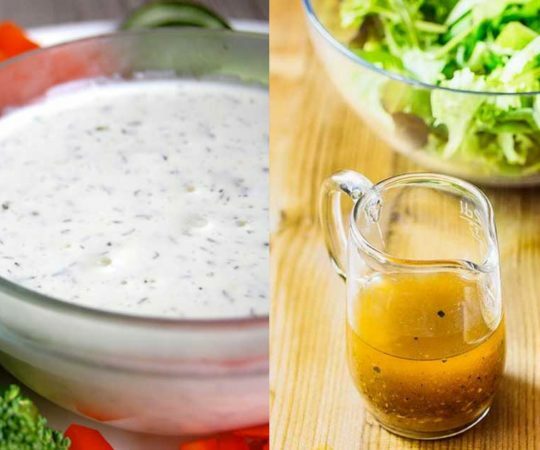 Combine all the fruit in a large bowl, pour over the dressing and toss to coat. 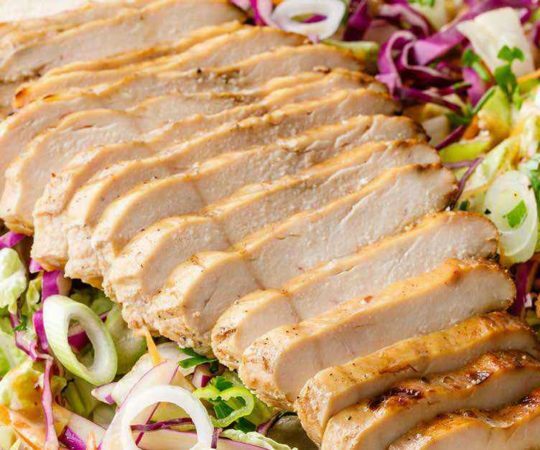 Keep the salad in the refrigerator until you are ready to serve. To serve place the salad in the watermelon bowl and sprinkle with fresh mint leaves, or if you prefer serve the salad in individual bowls.